Catholic News World : #BreakingNews Vatican Response to PA Abuse Report "Victims should know that the Pope is on their side." #BreakingNews Vatican Response to PA Abuse Report "Victims should know that the Pope is on their side." On Thursday evening, the Director of the Holy See Press Office, Greg Burke, issued the following statement regarding the report of the Pennsylvania Grand Jury issued earlier this week in the United States over the sexual abuse of minors. "Regarding the report made public in Pennsylvania this week, there are two words that can express the feelings faced with these horrible crimes: shame and sorrow. The Holy See treats with great seriousness the work of the Investigating Grand Jury of Pennsylvania and the lengthy Interim Report it has produced. The Holy See condemns unequivocally the sexual abuse of minors. The abuses described in the report are criminal and morally reprehensible. Those acts were betrayals of trust that robbed survivors of their dignity and their faith. The Church must learn hard lessons from its past, and there should be accountability for both abusers and those who permitted abuse to occur. Most of the discussion in the report concerns abuses before the early 2000s. By finding almost no cases after 2002, the Grand Jury’s conclusions are consistent with previous studies showing that Catholic Church reforms in the United States drastically reduced the incidence of clergy child abuse. The Holy See encourages continued reform and vigilance at all levels of the Catholic Church, to help ensure the protection of minors and vulnerable adults from harm. The Holy See also wants to underscore the need to comply with the civil law, including mandatory child abuse reporting requirements. 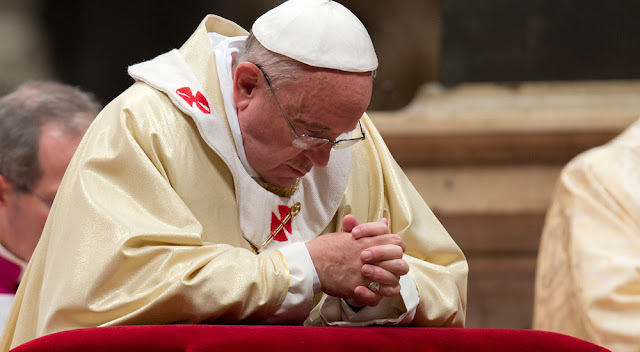 The Holy Father understands well how much these crimes can shake the faith and the spirt of believers and reiterates the call to make every effort to create a safe environment for minors and vulnerable adults in the Church and in all of society.